Dominique Golightly is among ACU's leaders in scoring and rebounding. The stepsisters are finally going to the ball wearing Cinderella’s gown. In this fractured fairy tale, the Abilene Christian University women’s basketball team – after two years of dominating the Southland Conference but locked out of the league tournament on a technicality – is hunkered down in the Houston suburb of Katy, Texas, this week to participate in the Southland’s annual postseason event for the first time. At stake is something never before available to an ACU basketball team: the chance to make it to the NCAA Division I Women’s Tournament. THE tournament, the one with the brackets and the ESPN television coverage. This is the kingdom ruled by Trojans and Longhorns and Lady Vols and, for the last 15 years with an iron first, by the Huskies of mighty UConn. THAT tournament. Goodenough’s teams have been a big deal in the Southland Conference since 2013 when the university rejoined this league it helped form in 1963 but left a decade later. 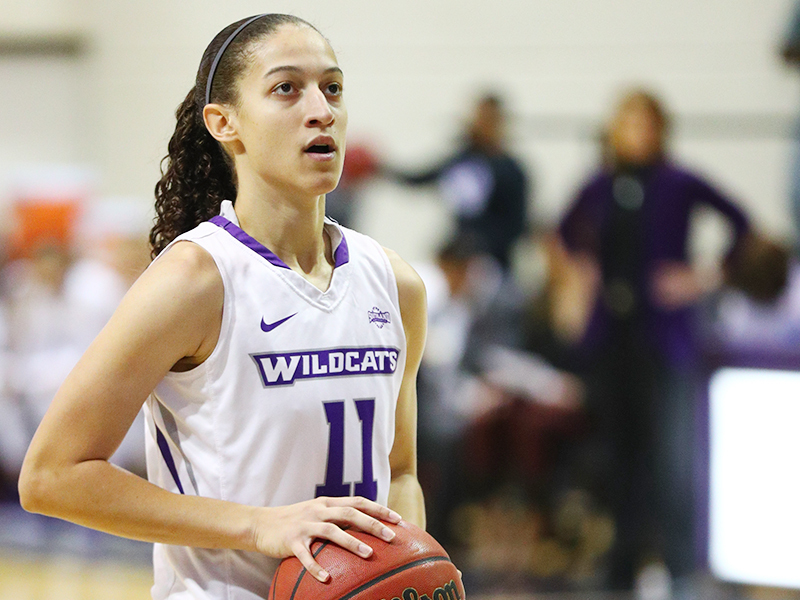 The Wildcats finished in the top eight in all four seasons back in the Southland. And in the last two, no team in the league has been better. ACU went 33-3 in conference games and won back-to-back regular-season crowns. But the ultimate prize was ultimately out of ACU’s reach. Sarah Willamson is the Wildcats’ third-leading scorer. 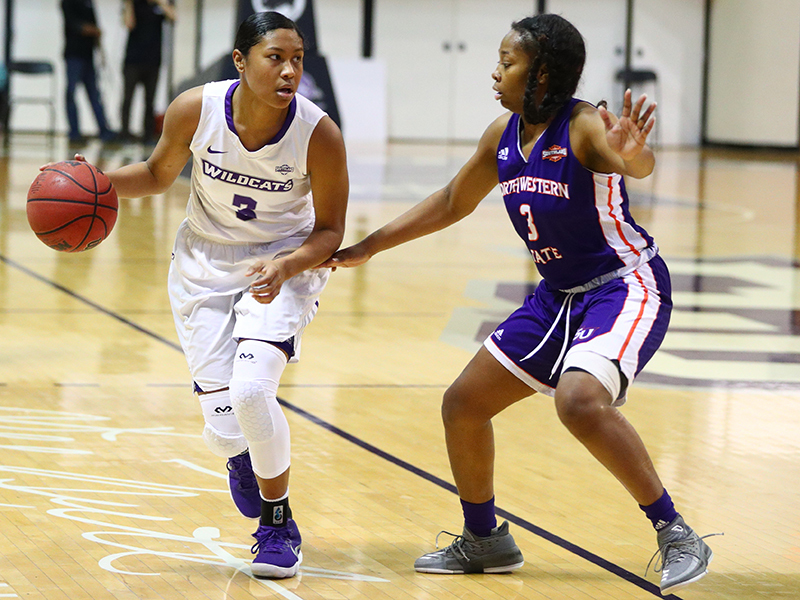 NCAA rules prohibit institutions that change classifications (as ACU has done moving from Division II to I) from participating for four years in any postseason event that the association sanctions, such as the women’s basketball tournament. Understandably, the Southland followed suit. Of the 32 Division I conferences, the Southland is one of the smallest in terms of the size of member institutions and money spent on athletics. Historically, that has meant the only Southland team that makes it into the NCAA Tournament is the one that automatically qualifies by winning the league tournament. Not wanting to risk having its only guaranteed berth taken by a team that isn’t eligible for the NCAA Tournament, the Southland kept ACU out of Katy. Until now. The Wildcats’ seventh place finish (out of 13 teams) in the league this season has earned them one of the eight precious spots this week. 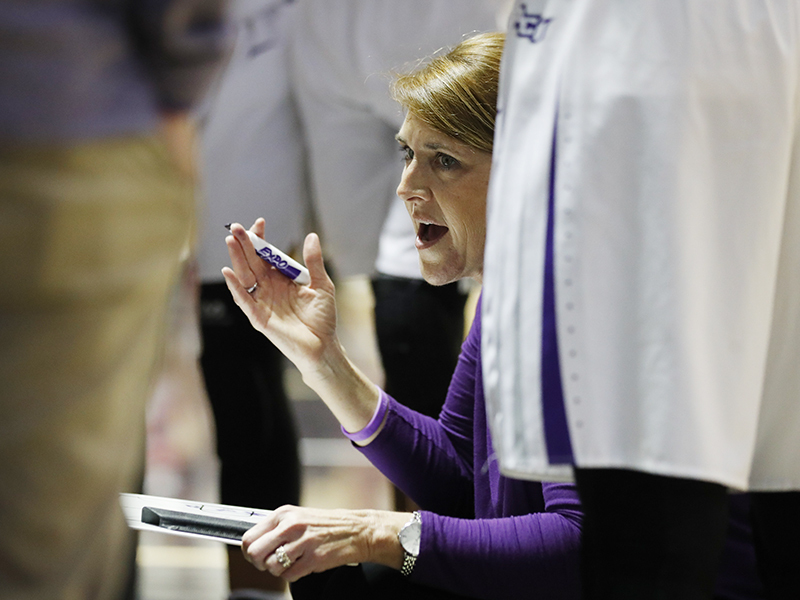 Head coach Julie Goodenough has her team in the Southland Tournament for the first time. ACU arrives in Katy as the seventh seed after a less-than-fairytale end to the regular season, with losses in its last five games. Unlike the previous two years when the Wildcats of Lizzy (’17) and Suzzy (’17) Dimba, Alexis Mason (’17) and Sydney Shelstead (’17) would have been favored to win the tournament, this team is in a different role but still with a chance to make it to the NCAAs. For that to happen, these youthful Wildcats will need to play like the team that defeated the University of Idaho, a perennial NCAA Tournament participant, in November and won seven straight games in December and January. One of the wins in that streak came against ACU’s first-round opponent Thursday, the University of New Orleans. Making the NCAA Tournament will take four wins in four days. Should they defeat New Orleans on Thursday, the Wildcats will have to knock off the University of Central Arkansas on Friday and Stephen F. Austin State University on Saturday to advance to Sunday’s tournament championship game and that chance to dance on the biggest stage in women’s college hoops. As the carriage takes this Cinderella squad to the ball for what they hope is a four-day stay, the coach isn’t short of confidence; just things to wear. 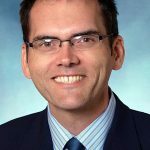 About the Author: Grant Boone is a native of Nashville, Tennessee, who graduated from ACU in 1991 with a degree in journalism and mass communication. He began broadcasting Abilene Christian games on radio while a student in 1990 and has been the play-by-play voice continually since 2008. In addition, he hosts the weekly ACU Athletics radio show and football coach’s TV show. For 20 years, he has called a variety of sporting events for national networks, including ESPN, CBS Sports Network and Turner Sports. During the summer, he still broadcasts live tournaments for Golf Channel and the Masters and PGA Championship for CBS Sports. View more from Grant Boone. Thanks for the kind words, George! Appreciate it.